Every maker has a story. Be a part of JM Inspired Designs's story by placing an order, leaving a review, and seeing your review appear here. 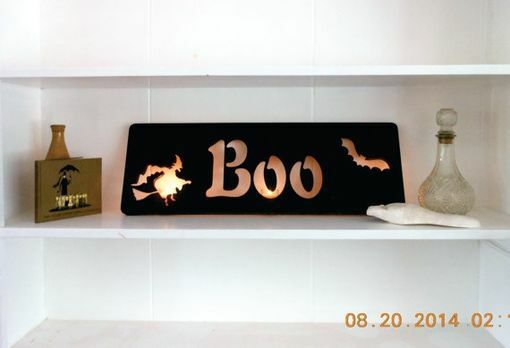 Great Halloween decoration for mantle, door, or to set on a shelf. 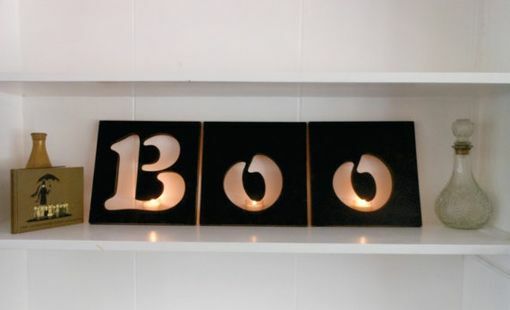 Put a candle behind sign for a great effect. Made from 1/2 inch engineered Birch wood. Cut out using our laser system. Sign is painted black and then lightly distressed. Size: 26 1/4 inch long by 9 inches tall.